Image: ESA/Rosetta/MPS for OSIRIS Team MPS/UPD/LAM/IAA/SSO/INTA/UPM/DASP/IDA. Rosetta’s OSIRIS narrow-angle camera witnessed Philae’s descent to the surface of Comet 67P/Churyumov-Gerasimenko on 12 November. 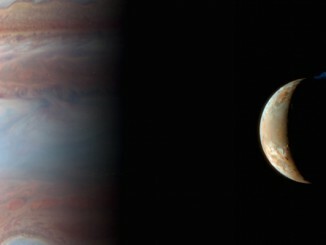 This animated gif comprises images captured between 10:24 and 14:24 GMT (onboard spacecraft time). 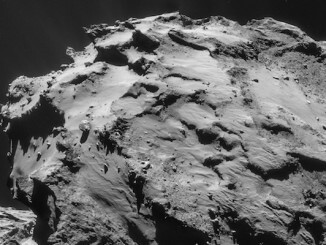 More images showing Philae closer to the surface are still to be downloaded. Separation occurred onboard the spacecraft at 08:35 GMT (09:35 CET), with the confirmation signal arriving on Earth at 09:03 GMT (10:03 CET). The signal confirming landing arrived on Earth at 16:03 GMT (17:03 CET). 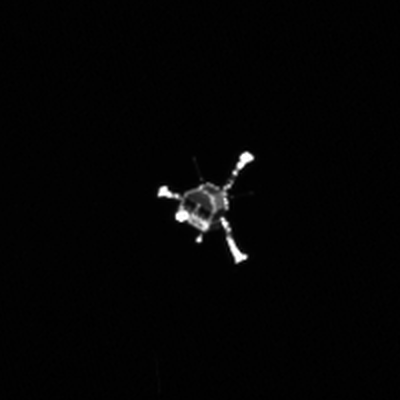 This image from Rosetta’s OSIRIS narrow-angle camera shows the Philae lander at 10:23 GMT (onboard spacecraft time) on 12 November. 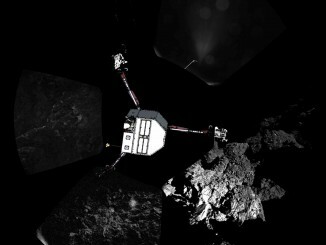 The image shows details of the lander, including the deployment of the three legs and of the antennas. 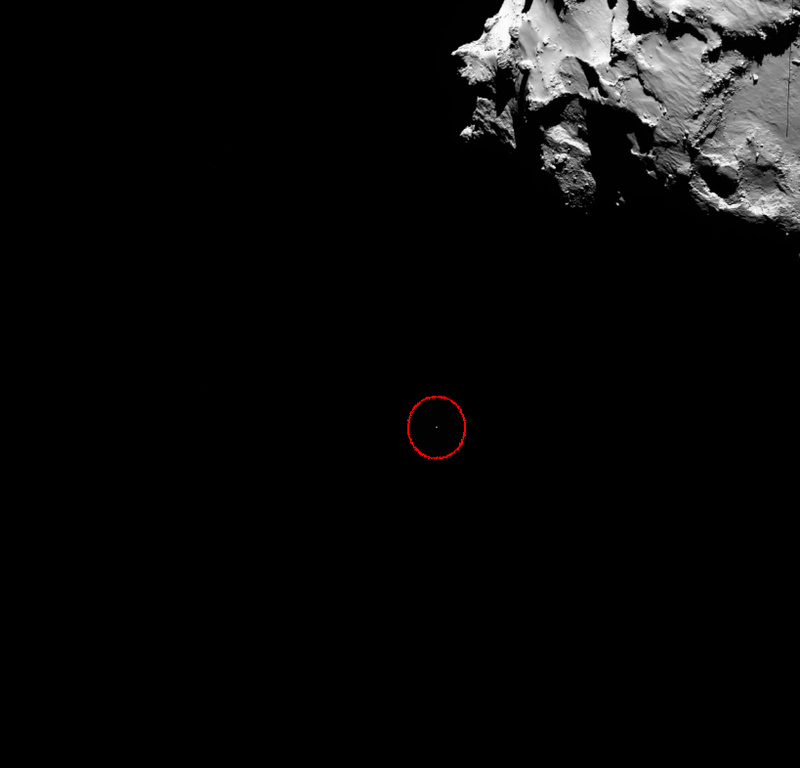 This OSIRIS wide-angle camera image shows the position of Rosetta’s lander Philae (circled) at 14:19:22 GMT (onboard spacecraft time).